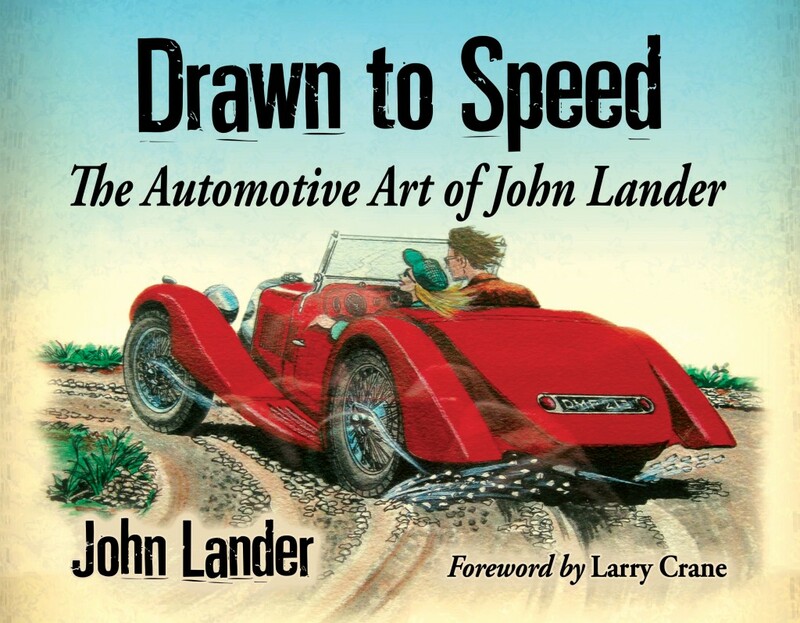 John Lander may be known for his automotive art, but he’s also a wonderful storyteller, which makes Drawn to Speed a delight for your soul as well as your sense of sight. Son of an Atlanta Dodge dealer, Lander grew up around cars, but was smitten not by what his father sold but by the sports cars that were being imported from Europe after World War II. He returned to the dealership until it closed, but in 1972 went to work at a design company in Atlanta and did trade show exhibit design until his retirement, when he returned to his love of drawing cars, but now adding his long experience with cars and their owners and their racers to what had become his impressive skill as an artist. 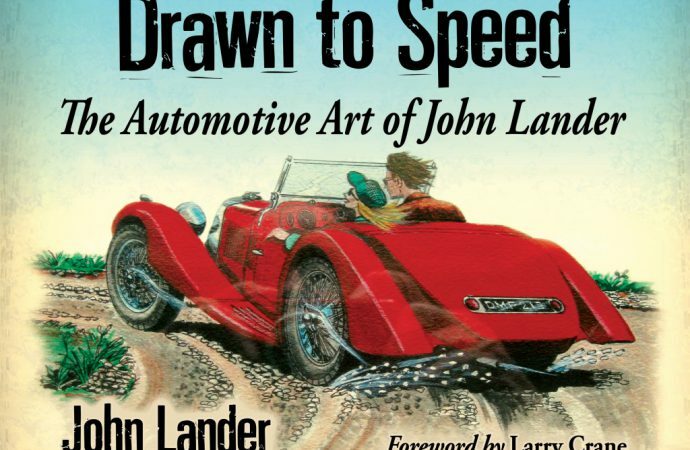 What makes Drawn to Speed more than a collection of automotive art is that with each illustration, Lander shares a brief story that puts the vehicle into context. The book includes 12 chapters, from racing cars to French cars to Lander’s “obsession” with the Squire, to cars and people and places he encountered in California to his “Bugatti Girls” series. I think I’ve fallen in love with both the Pegaso and the young blonde bartender who inspired his “Summer Thrill,” and then there’s his “Phantom by Moonlight” and, well, and so many others. And for would-be artists, one chapter shows Lander’s sketches and preliminary drawings as he developed some of his illustrations. However, there is one problem with this book. After you buy a copy, you’re going to want to purchase a second one. You’ll want the first one to read and to enjoy and then to leave on a coffee table or to preserve on your bookshelves. But you’ll want a second copy so you can dismantle it and frame a bunch of the illustrations to hang on your office or man cave or garage wall.